The following article makes it clear that there is a plan to silence anyone who questions vaccines. The non vax / anti vaccine community is strong but unless we switch direction and acknowledge that we need to evolve and be more bold in our approach I am afraid that we are going to win a few battles but lose the war for human health. I am a strong believer that we can no longer call for safer vaccines or vaccine choice. As a community resisting vaccines we have to firmly say NO MORE VACCINES!!! and encourage others to disobey any law that encourages or forces vaccination. All of us have a duty to bravely make hard choices that go against societal norms and to stand up for the rights of those who can not. Instead of ignoring news about outbreaks of childhood illnesses we need to be following such news and pointing out that outbreaks such as the recent mumps outbreak in the United States is happening in the mostly vaccinated. We need to be calling out pro vaccine bias in the media and correcting inaccurate details in news stories that paint anti vaxers to be dangerous spreaders of disease. We need to be talking to law makers and we need to be out in the street in record numbers protesting vaccines. We need to be telling our stories of vaccine injury to any man, woman, or child who will listen. 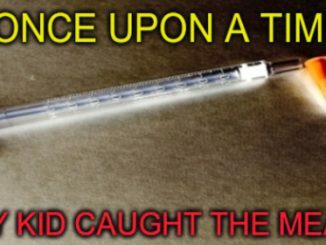 The current vaccine schedule is complete insanity and has done considerable damage to a generation of kids now going into the next generation. There are studies that show neurotoxic and autoimmune damaging effects from vaccines. 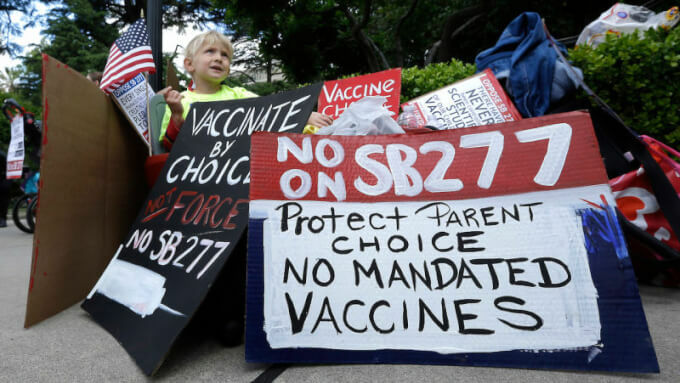 Thousands of parents tell the story of vaccine damage in their children. There are not just special needs classrooms anymore but special needs schools. Sick and neurologically damaged is the new norm. Time to wake up and take it way down with the vaccine schedule.